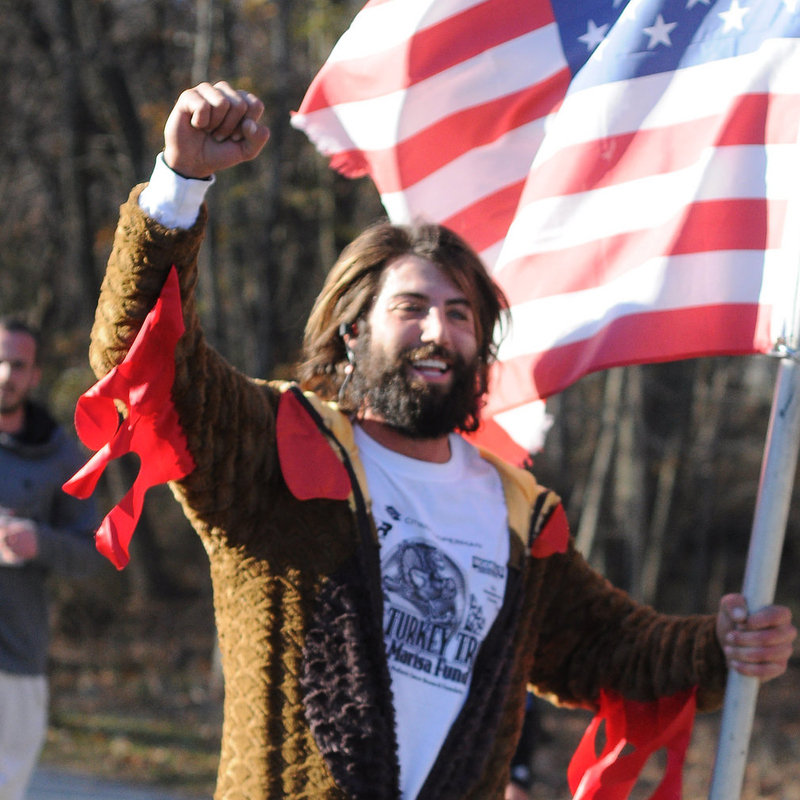 With 3,363 registered entrants and more than 2,900 participants, the 5 mile road race again made Rockland Lake the center of the region’s running universe on Thanksgiving Day. Amazingly, the race generated $120,000 for local charities, topped by the unprecedented total of $100,000 donated to the Marisa Fund! $500 to the Blue Knights law enforcement motorcycle club. Dave also presented the race’s Hero Award to Will Fernandez of Citrin Cooperman, which made a $5,000 donation to the Turkey Trot, and the Volunteer Award to Bernie Casserly.